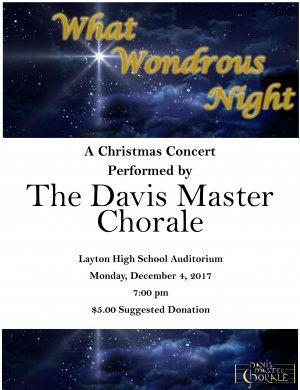 Announcing t he Davis Master Chorale Winter Christmas Concert, Dec 4th, at 7pm, in the Layton High School auditorium. [MAP]Musical selections will include traditional, spiritual, and downright glorious pieces from composers such as John Rutter, Dan Forrest, and a new arrangement of Silent Night by Peter Angelea that’s destined to be a classic! The concert is free, but a suggested donation of $5 per person would be greatly appreciated. This would make a wonderful Family Home Evening activity, after which you can drive your family through Layton’s light display right across the street. Announcing the annual Davis Master Chorale Potluck Social to kick off another music filled year! When: Tuesday, Sept 5th, at 6:30 pm. Bring: A main for yourself and a potluck item to share. Also bring: Your spouse or partner, family, friends, and a hearty appetite. DMC will provide paper products and plastic utensils. 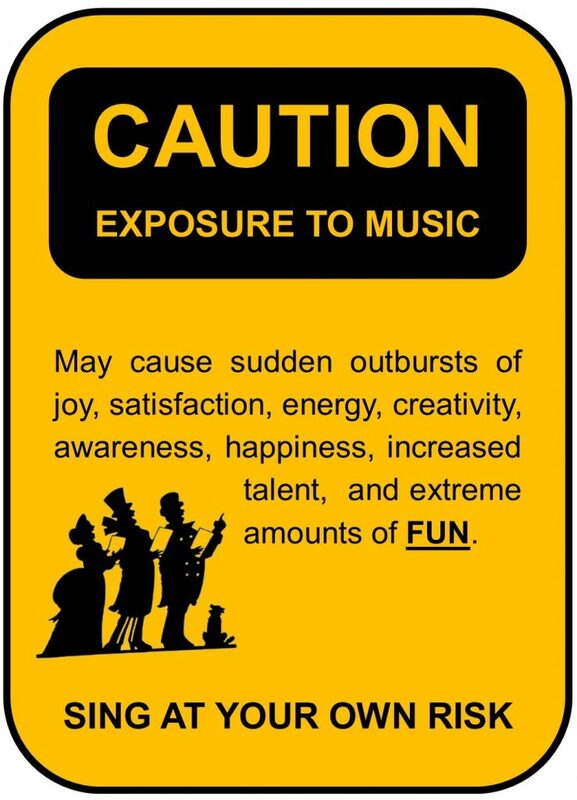 Chorale rehearsals for the Winter Season will begin the following Tuesday, Sept 12, at 7:30 pm in the Davis High School choir room.